This full-day excursion begins with a 1.5-hour car ride from Ho Chi Minh City to My Tho. Your first destination is Vinh Trang Pagoda, a sacred place that is also one of the top local sights. Continue on to the harbor, where you’ll board a boat to explore the Delta region. 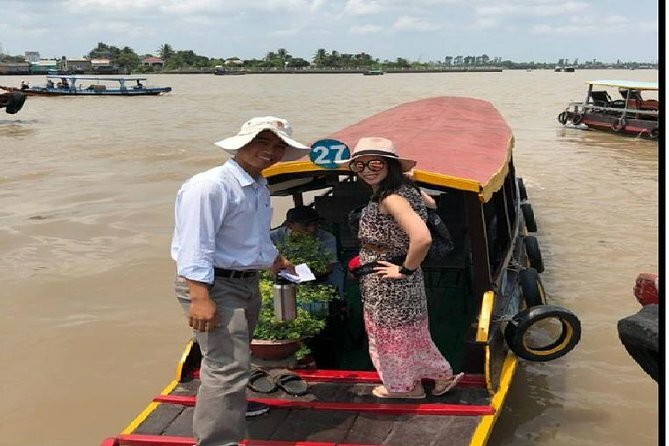 During the cruise on the Tien River you’ll see the Phoenix, Unicorn, Dragon and Tortoise islands, and fishing villages, stilt houses and fruit plantations along the river. Stop at one of the islets for lunch in an orchard garden. Afterwards, you’ll continue on your sightseeing tour of the attractions of Ben Tre. A sampan ride will take you along the natural canals in the shadows of water coconut trees. You’ll get a real sense of the charm and tranquility of the area. Stop to visit a coconut fudge family business, taste some of their products and buy your favorite candies in the workshop. Savor fresh fruits as you sip honey tea and enjoy Southern Vietnamese folk music performed by locals.